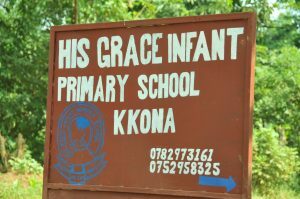 On the outskirts of Kampala in the village of Kkona sits His Grace Infant & Primary School. The school yard is clean, bright with flowers and a sparse but lovingly-used swingset. Here, 13 year old Nicole spends her days striving for an education. Until the end of last year, Nicole and the other students would fetch water from a well 2 kilometers away to be used for drinking, cooking and cleaning. This task took over an hour,often causing students to be late to school; even then, they would get sick from the contaminated water. “It was hard to always have to get the water, but I couldn’t do anything about it,” says Nicole. The trek had to be done, that’s it. Since her grandmother pays for Nicole’s schooling, she and other parents were frustrated with the amount of academic time their children were wasting. 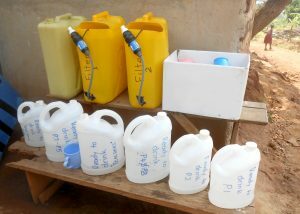 One parent complained that he wasn’t sending his child to school to fetch water, but to learn. Another student, Musasi Henry, comes from a struggling family and would bring his own water from home. He was often sick and has visited the hospital several times for vomiting, stomachaches, even typhoid. Henry’s illnesses caused him to miss school, but there were few alternatives to the dirty water. School Director Ssenfuka Ruth would spend more than $100 each month to fill a small metal tank with water for her students, but it wasn’t enough, and the money wasn’t always there. The good news is that Nicole and Henry’s stories don’t end here. In December of 2016, UWP Project #303 was installed – a rainwater collection system sponsored by Pharaoh’s Hairum – providing a safe source for the school’s water needs. Now, students get clean,filtered water each day just outside the Director’s office and enrollment has almost doubled from 178 to 302 students in just 2 school terms! The school uses the money previously spent on buying water to plant maize and beans, providing lunch for the students – a double benefit! Nicole is overjoyed with the addition of the new tank. 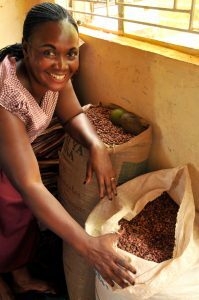 It has not only helped decrease the amount of illness, but has also increased the academic time she spends at school. She is able to focus more on her dream of becoming a lawyer. Since the tank installation, Henry no longer has to bring contaminated water from home. Now that he is drinking clean water at school, he stays in class and is living a healthy life, excited to see what the future has in store! 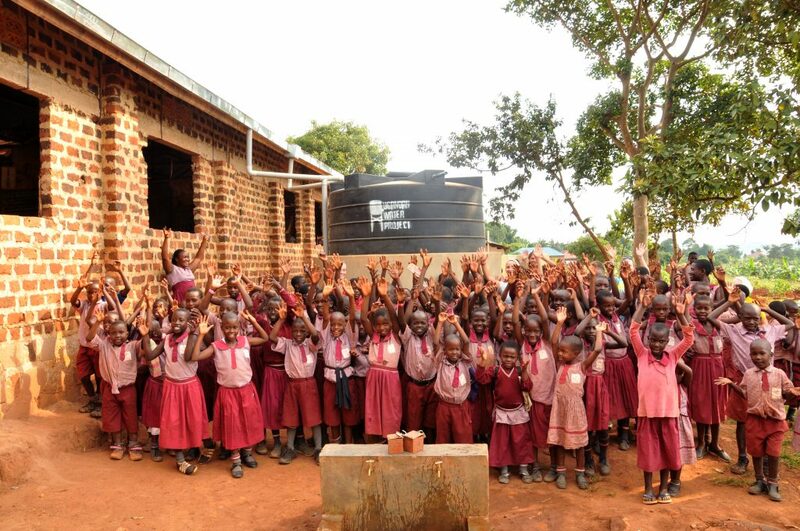 Giving water IS giving the opportunity for transformation – for health, education, and life!